Leizhan has launched the ZG series drum type pulping equipment. This is an ideal equipment for paper producers to achieve energy, water and fiber consumption in stock preparation system as low as possible. ZG series drum type was developed in order to disintegrate recycled paper in the gentle high consistency range. Drum type pulper is a new model equipment which is designed base on similar foreign products. It has three parts: feeding, pulping and screening. This structure integrates pulping and screening into one unit. It can achieve continuous and gentle pulping under high consistency and meanwhile it can screen large impurity under working consistency of 14%~18%. 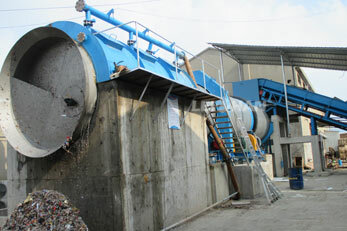 Drum type pulper has low energy consumption and minimal fiber damage advantages.